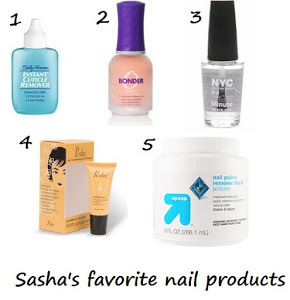 Sasha Says Nails... I'm a Manicure Momma: Spring is here!! I wasn't loving it, so I added some pink dots for fun. No sense in wasting a day-old mani, right? I don't think I will be rockin' this color anytime in the future. I think it looked too sickly with my skin tones. I am happy that Spring is on its way though! 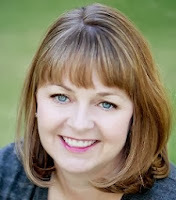 We have gotten a day or two of beautiful sunshine here in the Pacific Northwest, and it puts me in the best of moods! 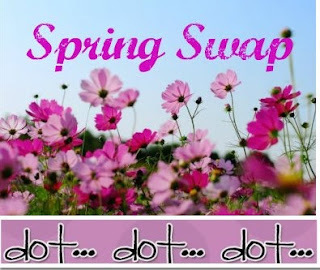 To celebrate, I am hosting a Spring Swap over on my blog, dot...dot...dot...! Pop on over if you want to participate in the fun!! I got a similar color once from a gum ball machine. I thought it was hideous. For some reason, I brought it to work and my cubicle mate coveted it. One day it disappeared. When I commented on it, she said something to the effect of me not liking it anyway so it wasn't a big deal. I kinda think she might've stolen it from me. Oh well, she was right. NOTD: Sally Hansen Gem Crush in Cha-Ching! NOTD: OPI Wooden Shoe Like To Know?